This VIS image shows two different types of linear depressions. 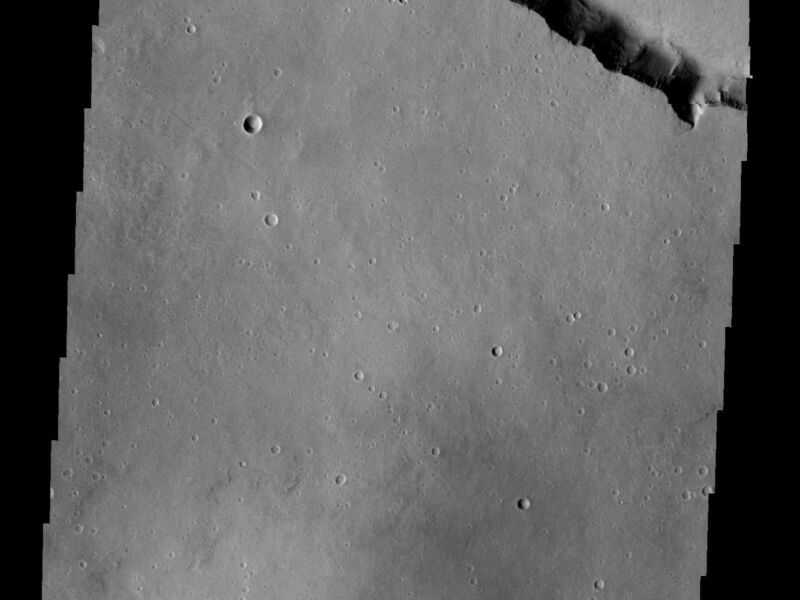 The wide depression at the top of the frame is Elysium Fossae, which most likely formed due to tectonic activity. 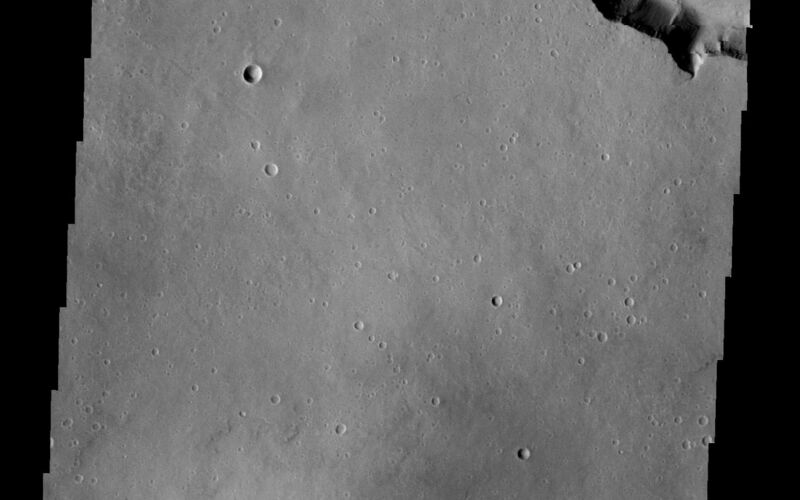 The fossae is probably bounded on both sides by faults. The narrow depression at the bottom of the frame is a lava channel called Patapsco Vallis. This channel has lava flows on both sides which were probably formed by over spilling of lava as it flowed down the channel. Both these features are located east of Elysium Mons. Image information: VIS instrument. Latitude 24.1N, Longitude 152.8E. 21 meter/pixel resolution.